As important as training is, a dog needs a proper diet and good health to be both physically and mentally balanced. Here are 2 links I use to feed my own dogs. To research the quality of dog food you are feeding, go to The Dog Food Advisor.com. It rates countless brands of dog food for quality and ingredients. 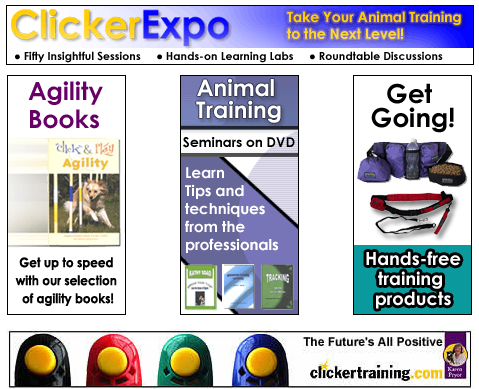 Click on the picture you see here below for training equipment, books and videos. There is also an extensive on-line library for you to enjoy free of charge, available at this site.